Lukes and Godwin have a team of professional domestic electrical contractors and engineers based in Mansfield, Nottinghamshire. 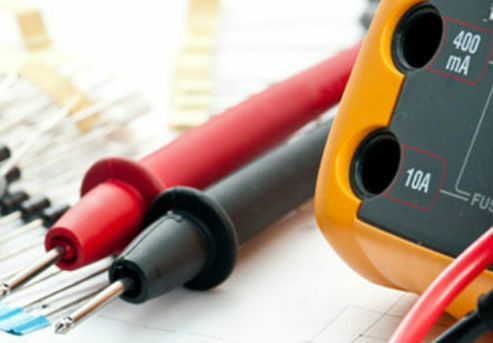 We offer a wide range of domestic electrical services, from fitting a new fuse box to a full house rewire, so get in touch today to find out how we can help you. We’re available 24/7, so if the lights go out or the oven stops working part way through a big baking session, all you need to do is give us a call! We’re fully qualified for all domestic work, and certified by NICEIC for our work. We’re also Part P registered, all of our staff are enhanced DBS checked, and we’re fully insured for our work. We don’t cut corners, we don’t skimp on materials or on quality, and you can be sure that we’ll always do a professional and safe job. Whatever domestic electrical job you need doing, from fitting and testing your new shower or central heating system, to rewiring your entire house, our professional team can do it. Get in touch and tell us what you need! Whether it’s a quick repair to your fuse box, fitting a new wall socket, a service for your machinery, or a full house rewire, we can do it. Give us a call on 01636 705640. We’ll come out to your home or your site and take a good look at the work that needs doing, and then we’ll give you a free quotation at a fair price, before we start work. And there’s no call out fee to pay, just the price of the work we do. We’ll let you know if we need to order parts and revisit to fit them, and we’ll finish your job as quickly and efficiently as possible, leaving everything tidy, so you can get on with your day. Need vital business equipment fixing quickly, a new piece of equipment installed to keep your business moving or a full rewire? Contact us today for a free, no-obligation quote. For robust, safe and rapid industrial repairs, testing and installations, our highly-qualified and experienced team can help. Call us now to book a call out.